Fishing leaders have vowed to keep fighting to break free from the Common Fisheries Policy (CFP) as they warned Brexit uncertainty threatened their departure from the hated EU arrangement. Bertie Armstrong, Chief Executive Officer of the Scottish Fishermen’s Federation, said his organisation was “deeply disappointed” that MPs rejected Theresa May’s Brexit deal again last week. Mr Armstrong said a delay on EU withdrawal jeopardised the industry’s ambition to take control of UK waters. Attempts to cancel or water-down Brexit by pro-Remain politicians could also lead to the EU demanding that the UK remains tied to the CFP, he warned. The Scottish fishing industry believes Brexit offers a chance to break free from the CFP’s restrictions and quotas as well as the EU’s right to grant access to British waters. Mr Armstrong said: “We are deeply disappointed that Parliament has refused to back the Withdrawal Agreement and has piled more uncertainly onto the Brexit confusion. “A long delay threatens the sea of opportunity to take back sovereignty over our rich marine assets, which was within touching distance. “Whatever happens next, we will continue to press the case for the fishing industry, which needs freed from the shackles of the common fisheries policy. “We know that some will still try to cancel Brexit and some to produce a Brexit in name only, while the EU will try to demand that the CFP continues in one guise or another. Mr Armstrong said the opportunity offered by leaving the CFP was represented by the 0.75 million tonnes of seafood caught by non-UK fishing vessels every year under the current arrangements. He added that leaving the CFP would result in a £540 million uplift and 5,000 more jobs. Meanwhile, Jimmy Buchan, Chief Executive Office of the Scottish Seafood Association, called for an end to MPs playing politics with Brexit. 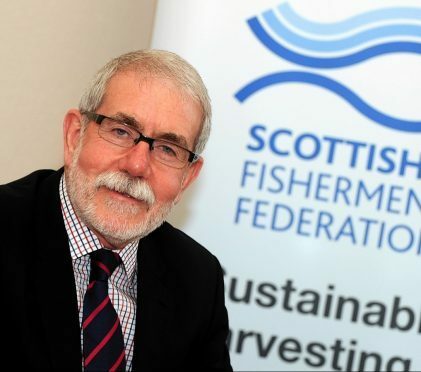 Mr Buchan was reacting to remarks made last week in Holyrood by Scotland’s Finance Secretary Derek Mackay when he spoke of the severe disruption that a no-deal Brexit would have on the export of fresh seafood. Mr Mackay said the cost of export health certificates and the breakdown of supply chains would “lead to lay-offs and business failures”. Mr Buchan said politicians of all parties were guilty of playing politics, which “needed to stop” because it was having a “severe impact” on the sector.